An experiment using some mistakenly-bought purple carrot juice that sat in the fridge for months- if you’ve never tasted this stuff, I’m not sure whether you’d want to! It was going in the compost anyway so, after I heard that purple carrots yield dye, I thought I’d have a go. 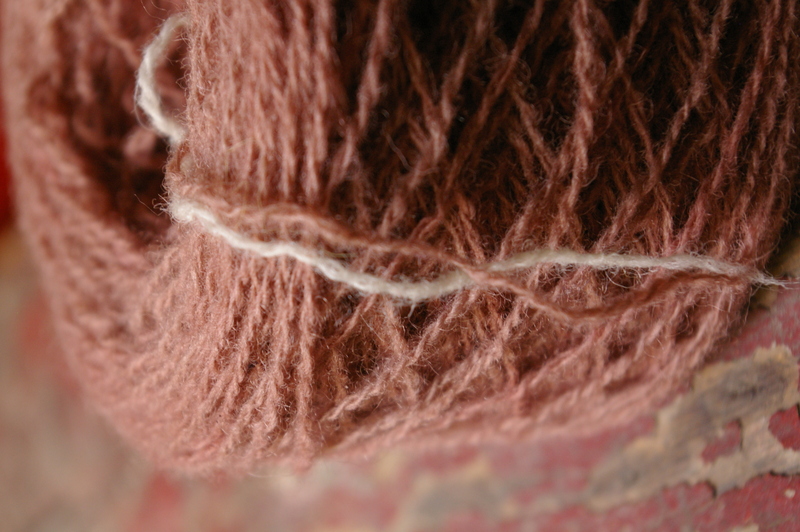 The yarn is Shetland frogged from a jumper and premordanted in a weak alum and cream of tartar bath. 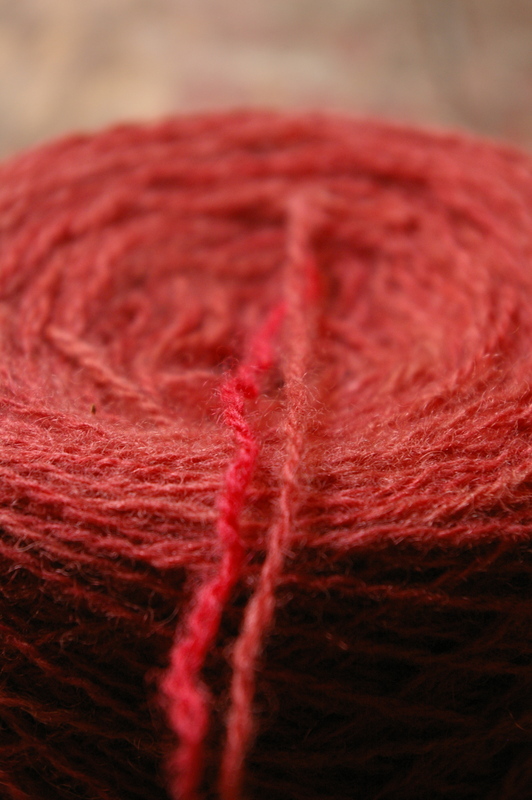 and from hot watermelon pink (from a previous dyeing) to soft raspberry. My overall impression is that the juice imparted a soft over-wash, rather than a strong new colour. 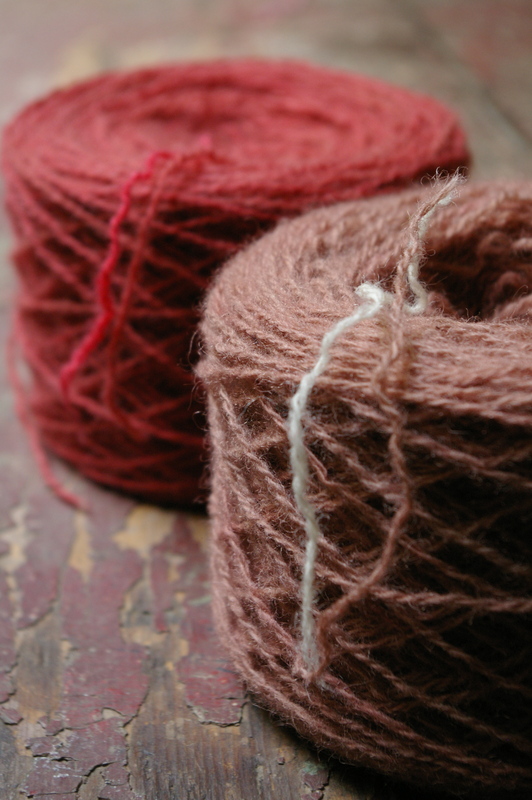 Being new to dyeing with plants, I’m not sure whether (a) I could have extracted a deeper dye using other methods or (b) this is common with plant dyes… but I like the effect. Not sure that I’d go out of my way to buy either raw or juiced purple carrots to dye with but I really like the colours produced and see them as very usable in a larger pool of colours for some colourwork. This entry was posted in plants on October 16, 2011 by admin. I love the results! Lovely yarn! You must come to Portugal!